The T5Xi Tactical is the best sniper scope, with the highest zoom in Ghost Recon Wildlands. This guide will show players where to find the best sniper scope in Ghost Recon Wildlands, the T5Xi Tactical, which comes with the highest magnification in the game at 6.0x. 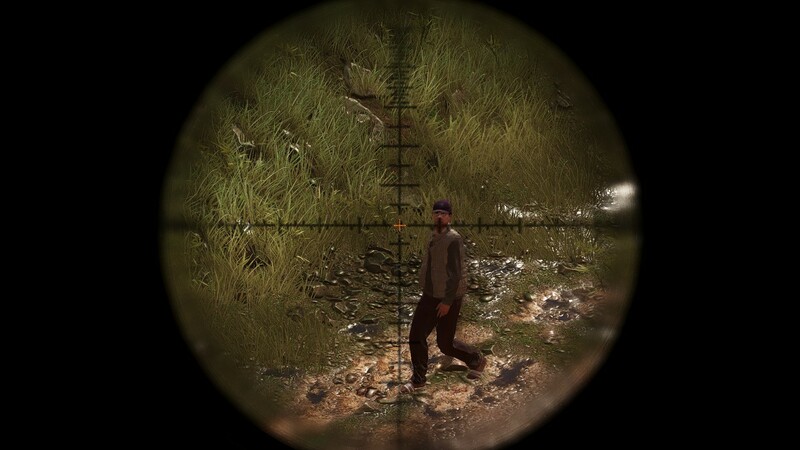 The scope is located in one of the tougher provinces in the game, but there’s nothing (apart from imminent death) stopping players from going to get it right off the bat. 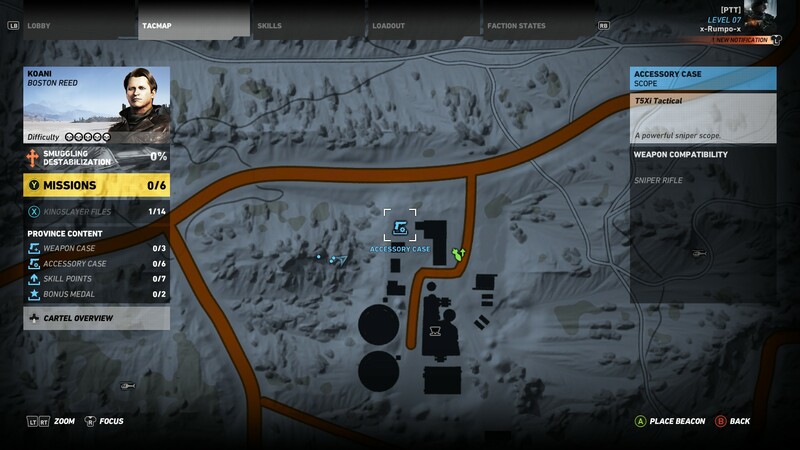 This image shows the location of Huertas Mine, where you'll find the T5Xi Tactical. 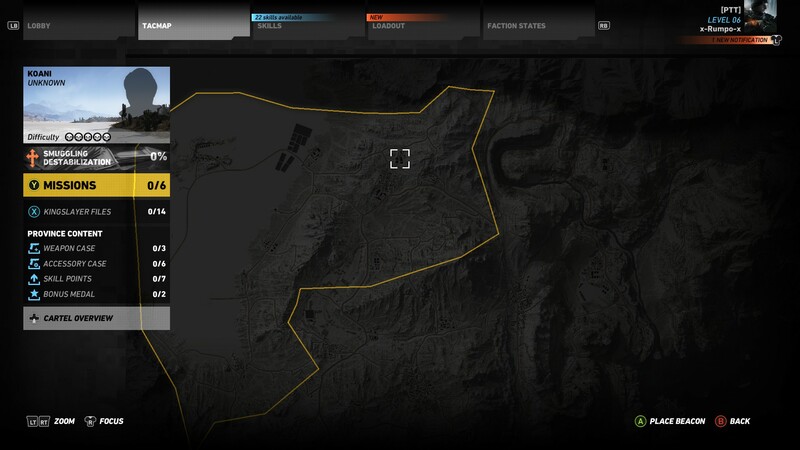 Players can locate the T5Xi Tactical scope by visiting the Koani province in Ghost Recon Wildlands. It’s a long and dangerous trip from your starting province of Itacua, but there’s a way to get there and grab the T5Xi Tactical without ever firing a shot or having shots fired at you. Look around the Itacua province for a helicopter. There should be a few, and you’ll naturally bump into one or two more as you play through the main story missions. Once you have a helicopter, set yourself a waypoint for the Huertas Mine. You should be able to fly directly to the waypoint without any trouble at all. The only thing you’ll need to be mindful of are UNIDAD helicopter patrols. However, these will show up on your map in advance, making them quite easy to avoid. This is the exact location of the T5Xi Tactical, which for some reason, isn't guarded very well. Put your helicopter down west of the Huertas Mine, or to the left of it when you’re looking at it on your map. If you zoom in on your map, you’ll see some buildings on the north side of Huertas Mine. It should be clear of enemies, but use your drone to scope it out just in case. The T5Xi Tactical is a sniper's dream. Make your way into the compound and head northwest. If you look inside one of the shipping containers, you’ll notice an Accessory Case. 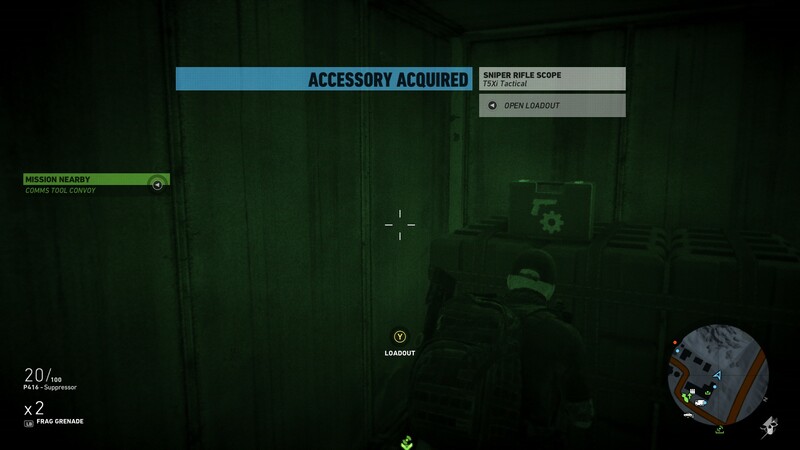 Simply enter the shipping container and grab the T5Xi Tactical. The T5Xi Tactical is the best sniper scope in Ghost Recon Wildlands due to its 6.0x magnification. Here's what it looks like when you aim down sight with the T5Xi Tactical in Ghost Recon Wildlands. Now that you’ve got the best sniper rifle scope in Ghost Recon Wildlands, the T5Xi Tactical, you should get busy snagging the MSR Sniper Rifle, the G28 Sniper Rifle, the ACR Assault Rifle, or even the M4A1 Assault Rifle.